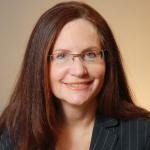 Education: Harriet Kaiser has a Master of Arts degree from Phillips Graduate Institute. Her undergraduate degree is in Business Administration from the University of Southern California with an emphasis in advertising & marketing. She lived in Europe 10 years. Online Therapy Details: I offer online counseling services within California (except psychotherapy) using Vsee. My speciality is providing authentic relationship to creative highly sensitive persons.